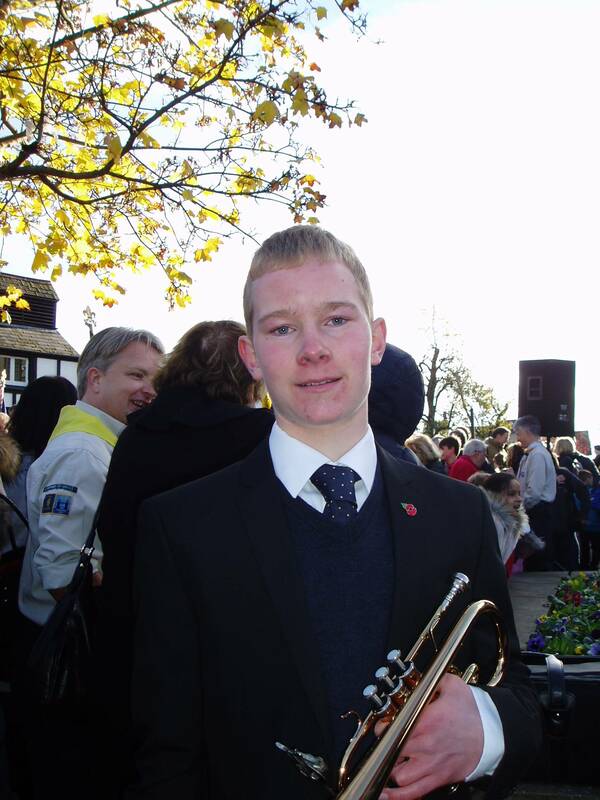 In glorious autumn sunshine on the morning of Sunday 13th November a large crowd of Pinner residents gathered at the Pinner War Memorial at the top of the High Street for the annual Remembrance Sunday Service. 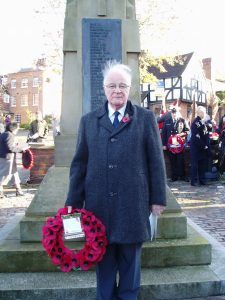 The Service was conducted by clergy from the local denominations and faiths, and over forty wreaths were laid by our MP Nick Hurd, representatives of armed and wartime services organisations, local councillors, the Police, Fire Service and St John’s Ambulance, local schools and Scouts and Guides, local community organisations and sports clubs. 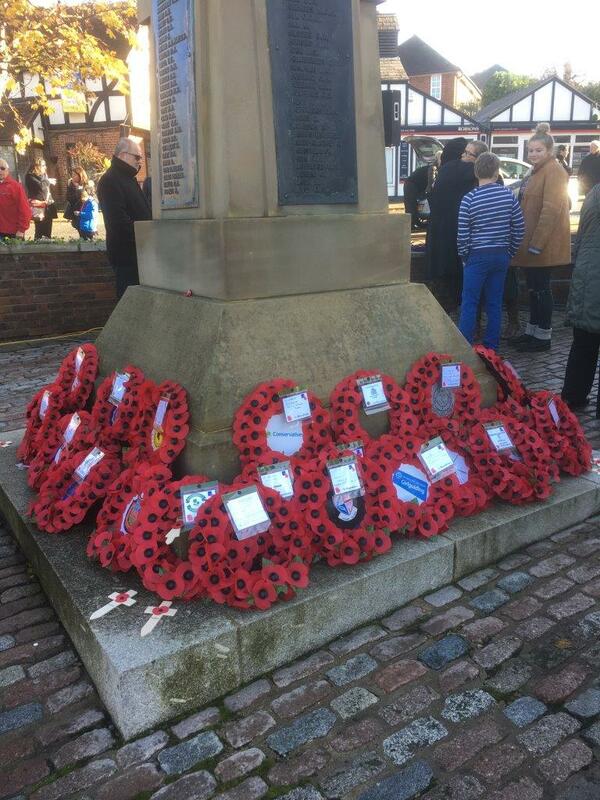 The Police Cadets acted as stewards, The Sea Cadets provided the guard of Honour at the Memorial and the Lost Post & Reveille were excellently played with great confidence by James Gardener of Nower Hill School. 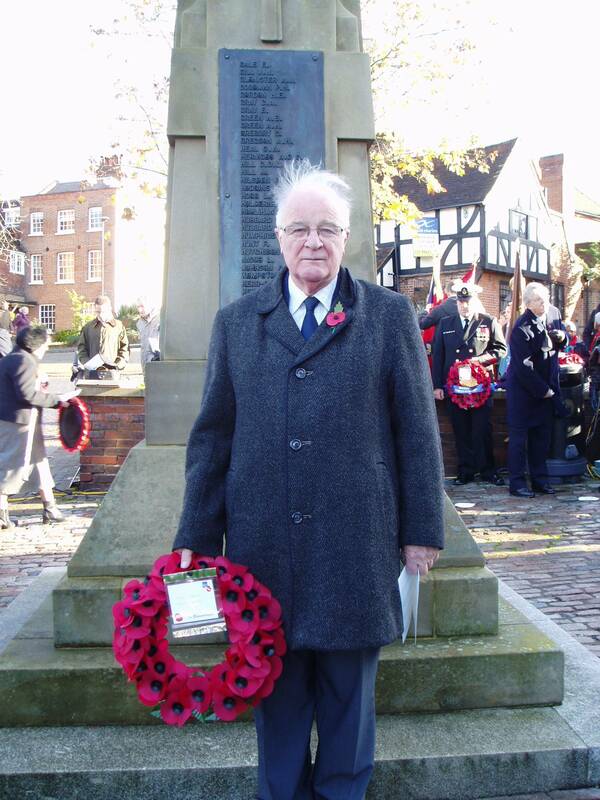 The Remembrance Sunday Service was organised by The United Services Club and The Pinner Association, with special thanks to Mrs Caroline Ennis. 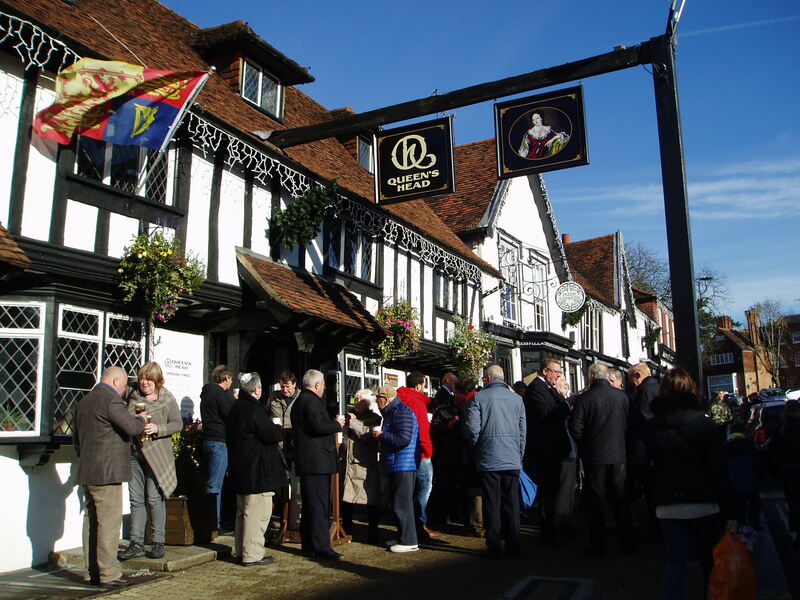 After the service, Carpentier & Co teamed up with the Queen’s Head to provide free tea and coffee for those who had attended the Service. 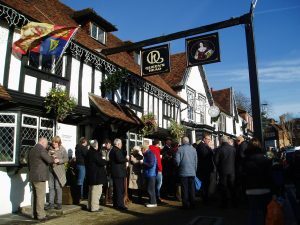 The crowd enjoying the generous hospitality of Carpentier & Co and the Queen’s Head after the service.